Smartphones are, at their core, tools. Because of this, many developers have created tons of tools for them that work really well. The genre is actually quite diverse. There are tons of Android tools and utility apps out there. You can do a whole bunch of stuff with Android. It’s actually a rather difficult topic for a best apps list. We’ll give it a shot, though. Here is a list of the best Android tools and utility apps to help you do more things. Here are some more Android tools and utility apps you might find handy! Find My Device is probably one of the most valuable Android tools and it’s completely free. This app lets you ping the location of your device in the event that it becomes lost or stolen. It’s compatible with phones, tablets, and even Wear OS smartwatches. You can also lock your device, erase it, and show a message on your device to plead to the finder to return it. It’s a free service by Google and that makes it so nice. Those who want something a little more powerful should check out Cerberus. It does a lot of the same stuff, but also has more features if you don’t mind paying for them. GasBuddy is an app that helps you find gas. You can use it to find fueling stations on long road trips. Alternatively, you can use it in the city to find the cheapest gas in your area. On top of that, the app allows you to report the gas prices at stations nearby so you can help out fellow drivers. It only works in the US, Canada, and Australia for right now. The lack of support for other countries is one of only a few downsides. This one can actually save you real money and we like that a lot. GlassWire is an excellent utility app for many reasons. It shows when apps use data. This is useful for a lot of things. For starters, those on tiered data plans can see exactly where their data went. Additionally, it’s useful for security purposes because you can see when apps send data back to their home servers. You also get customizable data alerts, a real-time graph showing your data usage, and other customization features. It’s perfect for those with tiered data plans and also the security conscious. The premium version is also dirt cheap at $0.99. 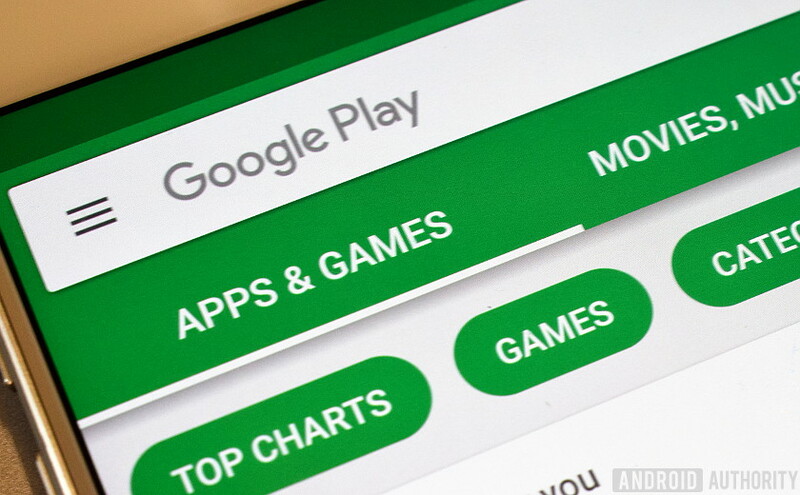 The official Google app is one of the most powerful tools on mobile. It can do almost anything. You can ask Google Assistant for the weather or to control your smart lighting setup. Google Now provides a feed of relevant info just for your (although that does take time to customize). We all already know the benefits of Google Search. Google was nice enough to incorporate all of that functionality in a single app and that really makes it difficult not to recommend it to basically everybody. This is an excellent app. IFTTT is another excellent Android tool. This app allows you to make connections between other apps. For instance, you can have the app upload a photo to your Dropbox after you share it on Instagram. That is just scratching the surface of all the things it can do. There are tons of apps that have IFTTT integration built-in and you can even use to do things like control your smart lights. There are thousands of recipes out there and you can find them by Google searching if you want to see them. Also, don’t forget about the upcoming Microsoft Flow and other, similar utility apps. We have some more Android app list recommendations! LastPass is one of the better password management apps. It lets you store your passwords. The app fills in the passwords for you. You can sync the passwords across platforms for use on PC, mobile, tablets, and other devices. The app works with Google Chrome and Opera browsers. In addition, it’s relatively inexpensive to get the pro features. LastPass Authenticator adds another layer of security for the super security conscious. They’re both excellent Android tools. ProtonVPN is one of the more engaging VPN apps on Android. It has a totally free, unlimited VPN option and that makes it really easy to incorporate into your daily life without much of a hassle. The app includes a strict no-logging policy as well as encryption for your security. Those who pay the $4 per month tier get higher speeds and support for two devices. The number of features and devices go up from there. There are a lot of good VPNs. However, this is one of the few with its level of security and then also a totally free option. We would recommend this one all day. Solid Explorer is probably the best file manager on Android right now. It supports the basic stuff, including archiving and un-archiving files, checking your storage folders, moving stuff around, and more. It also has more advanced features like cloud storage support, support for various types of web servers (think FTP and others), and support for root users. There are other file managers out there, but Solid Explorer looks and works great. It hits that sweet spot between functional and good looking. Tasker is probably the most powerful Android app ever made. It’s an automation tool with virtually no ceiling. You can automate basically whatever you want. There is a wicked steep learning curve. It will take you longer than a few hours to learn how to use this app. However, once you do, you can make it do pretty much whatever you want. There are also a ton of apps and other services with Tasker support that only extends the functionality. WiFi Analyzer helps analyze your WiFi signal as well as other signals around you. For most, this isn’t overly useful information, but you can use the info gleaned here to optimize your router, get off of clogged WiFi channels, and perhaps even help improve your overall WiFi performance. It uses simple, easy-to-read graphs that virtually anyone can understand along with a signal measuring function and support for both 2.4Ghz and 5Ghz. It’s also entirely free. If we missed any of the best Android tools or utility apps, tell us about them in the comments! You can also click here to check out our latest Android app and game lists! Next articleselenium webdriver – Why is one Function call throwing a null pointer exception while the other not?